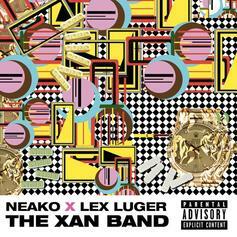 A-Trak and Lex Luger deliver their "Low Pros" EP. 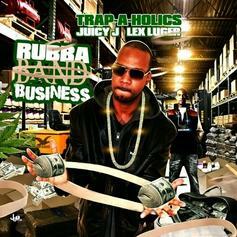 Check out Rubba Band Business 2 (Hosted by Trap-A-Holics), a new mixtape from Juicy J & Lex Luger that saw the light of day on Monday, May 2nd, 2011. 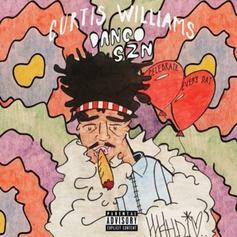 Juicy J & Lex Luger's movement grows stronger with each new release, and Rubba Band Business 2 (Hosted by Trap-A-Holics) has further strengthened that fact. It's a solid addition to the commendable body of work Juicy J & Lex Luger has been creating since stepping foot in the rap game, and we're definitely looking forward to what Juicy J & Lex Luger has on deck. Bump Rubba Band Business (Hosted By Trap-A-Holics), a new offering from Juicy J, which was released on Tuesday, December 28th, 2010. Juicy J's rap artistry continues to improve with every release, something which is most definitely evidenced on Rubba Band Business (Hosted By Trap-A-Holics). His ever - expanding catalogue is definitely better for it, and we're looking forward to the next piece of the puzzle - aren't you? 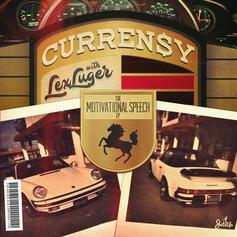 Download Curren$y & Lex Luger's joint EP "The Motivational Speech." 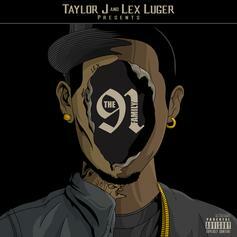 Taylor J and Lex Luger connect on their new 8-track project "The 91 Family." 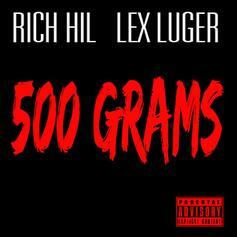 Download 500 Grams, the latest project from Ricky Hil, released on Wednesday, December 14th, 2011. Ricky Hil's chances in this game are improving with each new release, and 500 Grams is no exception - quite the opposite, in fact. It's a nice addition to the impressive catalogue Ricky Hil has been building over the years. We're definitely anticipating the next move.